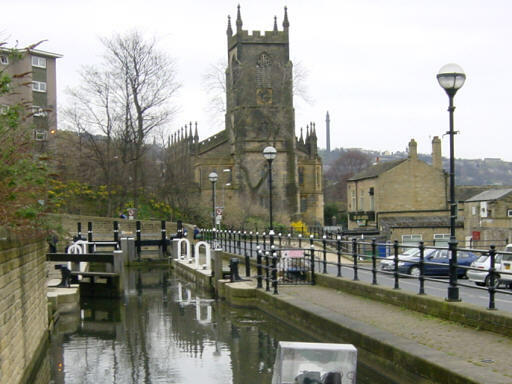 Tuel Lane Lock at Sowerby Bridge. 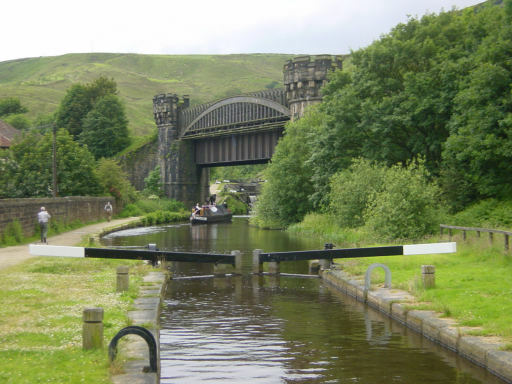 With a fall of 19 feet 8.5 inches (6.01 metres), this is Britain's deepest canal lock. 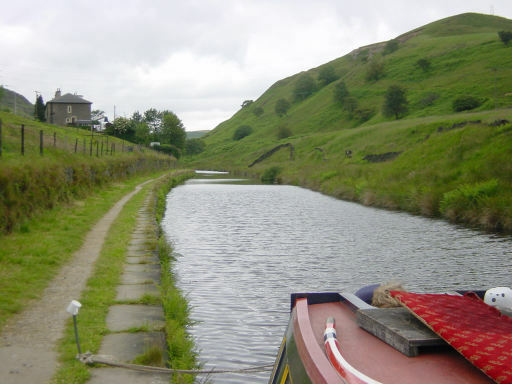 It was created when this section of canal was restored, to replace the original locks 3 and 4. 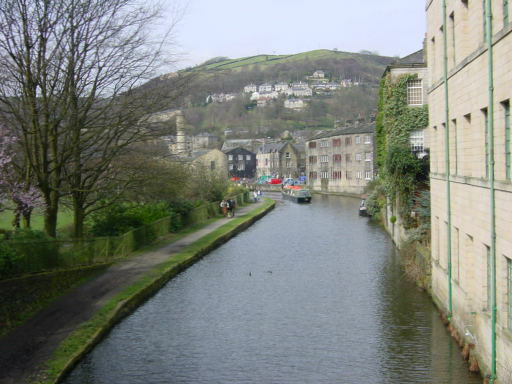 The canal passing through picturesque Hebden Bridge. The ornate railway bridge at Gauxholme, south of Todmorden. 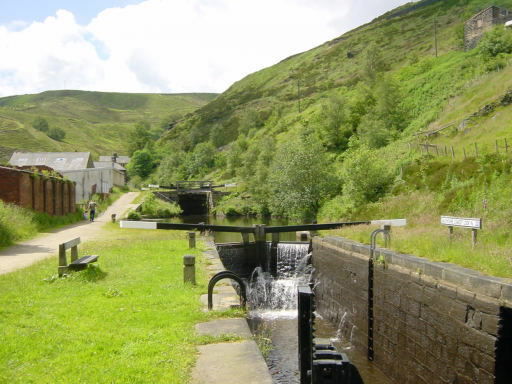 The canal climbing the steep sided Calder valley from Todmorden to Walsden, showing the two lower locks of the Gauxholme flight of three locks. 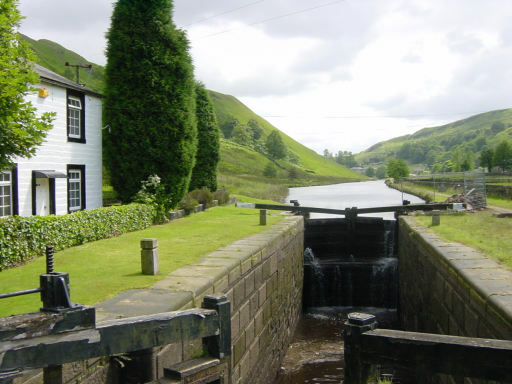 Longlees Lock, at the Yorkshire end of the summit pound. Looking north along the summit pound from near West Summit. 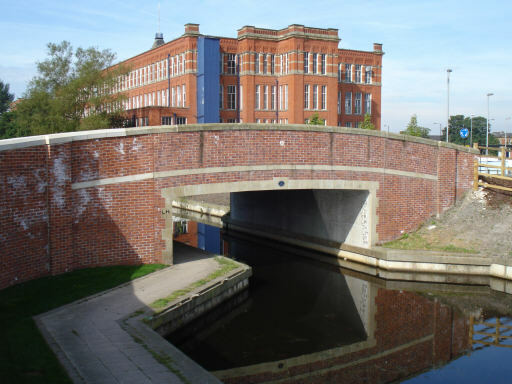 Restored section of canal in Failsworth. The canal had been blocked here by a supermarket. 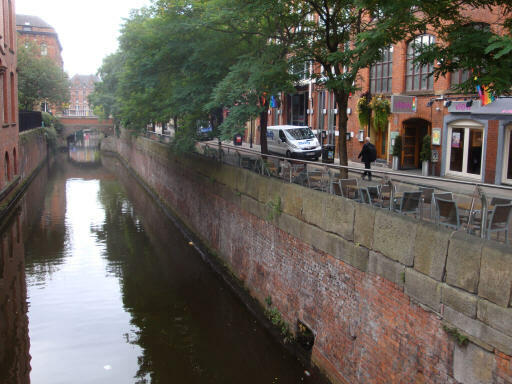 The canal runs alongside fashionable Canal Street in Manchester. 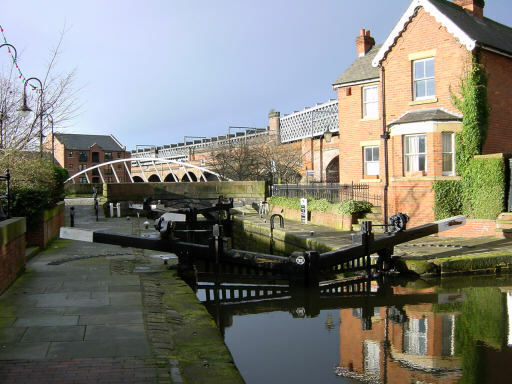 Dukes Lock No 92 at Castlefield, Manchester, where the canal joins the Bridgewater Canal. For many more photographs, see the Virtual Cruise pages.